The cells in an outer totalistic CAs get updated based on their 8 immediate neighbouring cells surrounding them. The most famous example would be John Conway‘s Game Of Life. 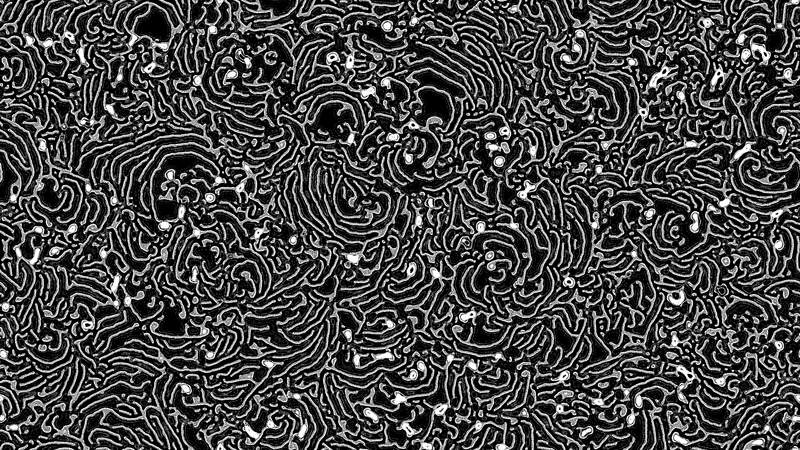 To see the results of the Outer Totalistic Cellular Automata click here. A bit of CSS to pretty things up and there it is. 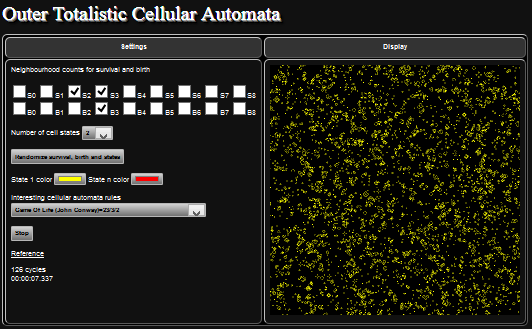 There is a drop down list of preset rules to show the sorts of emergent behavior that can arise from cellular automata. 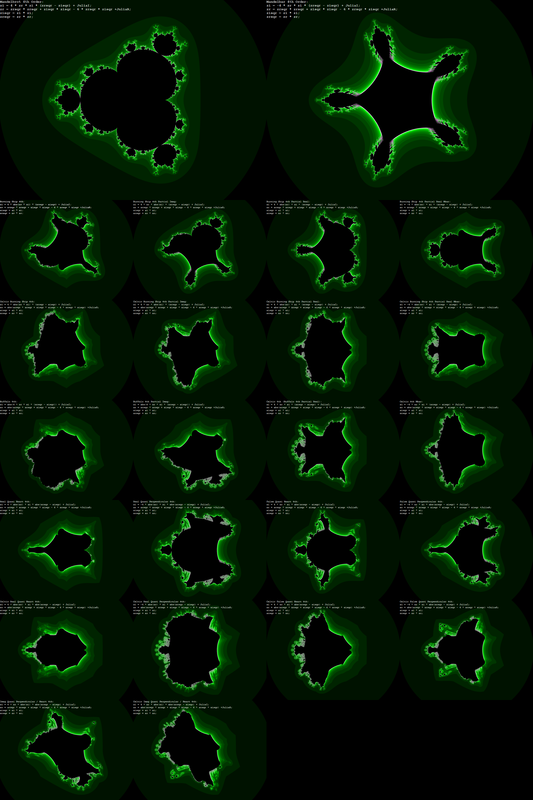 If you are interested, the source code is available here.